Interest in puppetry in addition to Model Theatre began to grow within the membership of the Guild and subsequently the British Model Theatre Guild became the British Puppet and Model Theatre Guild of today. Puppetry in Britain has a rich and diverse history. From the Victorian marionette showmen with their elaborate travelling theatres and trick marionettes to the Punch and Judy Professors in their booths on the sea front, each have played their own part in not just our puppet history, but our social history as well. Puppetry is an absorbing and fascinating subject that everyone can enjoy. Now in its 93rd year, the Guild holds regular meetings across the UK at which Members can exchange views, gain experience through workshops and watch performances. We are a long established, friendly organisation and most members of the Guild are experts in their own right with a wealth of experience in many areas of puppetry and model theatre and are always willing to share their knowledge to encourage others to learn more. Whilst this page mentions something of the history of our organisation, we remain committed to promoting the future of all forms of our art including exploring new techniques and materials. The British Puppet and Model Theatre Guild at 93 years old is the oldest puppetry organisation in the world. A few years ago on our 90th anniversary we produced a book to mark the occasion. 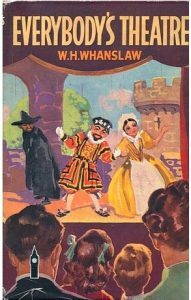 This significant milestone has been celebrated in a limited edition hardback book that charts the Guild’s history from its formation in 1925 to the many accomplishments it has achieved in those 90 years, including the first puppets on Television and the renaissance of British puppet theatre. Lavishly illustrated with many previously unpublished photographs from the Guild’s archives and other collections this book is a limited edition of only 90 copies. It can be ordered online via Bob’s Books here.